Carefully remove beef from slow cooker. Shred beef and set aside. Strain the au jus sauce and set aside. 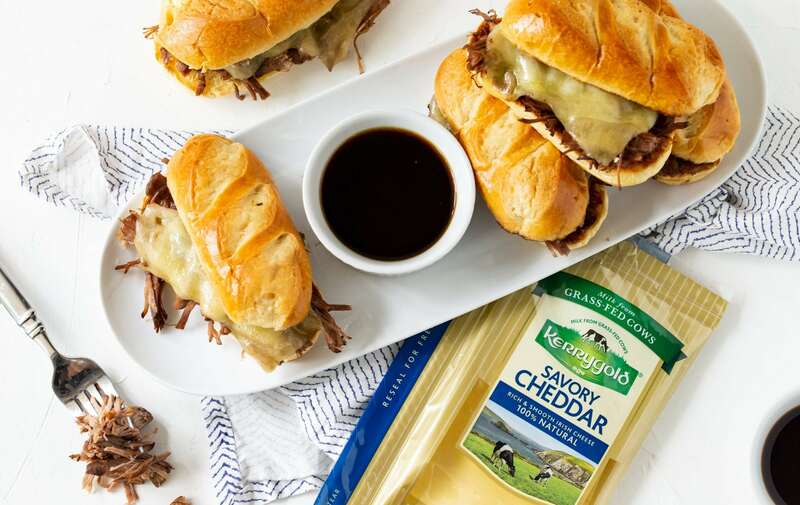 Pile beef on toasted rolls and layer with cheese on top of meat. Broil until cheese is melted.